Long necklaces with wire wrapped gemstones, beaded chain necklaces, medieval style traditional chainmaille link necklaces. 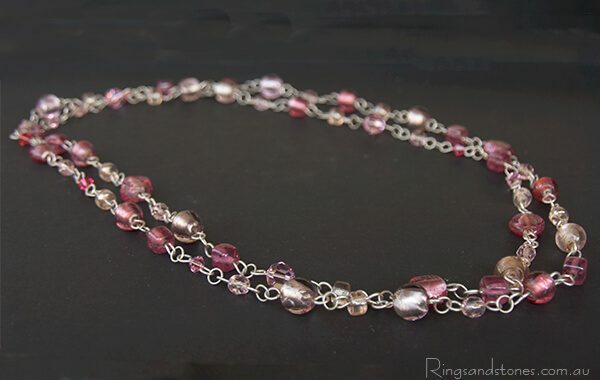 Handcrafted artisan sterling silver necklaces made with pearls, crystals, gemstones and Murano glass. Custom-made, bespoke jewellery pieces. 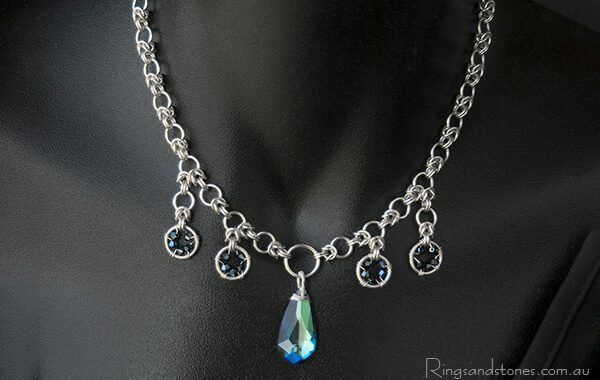 Handcrafted sterling silver link chain with iridescent Swarovski crystals. Larvikite is found in the Larvik Fjord region of Norway and is also known as Norwegian moonstone. Dynamic modern sterling silver necklace. 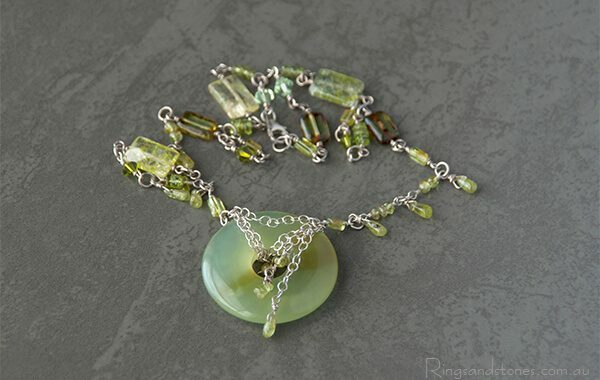 Gorgeous green serpentine stone pendant with peridot gemstone drops and chain. An elegant, stylish necklace that will bring movement and shine to your outfit. Kanji symbol for “spirit” in Japanese it is pronounced seishin, and in Chinese it is shen. Spirit is engraved on the back as a translation. Long tassle vintage style necklace. 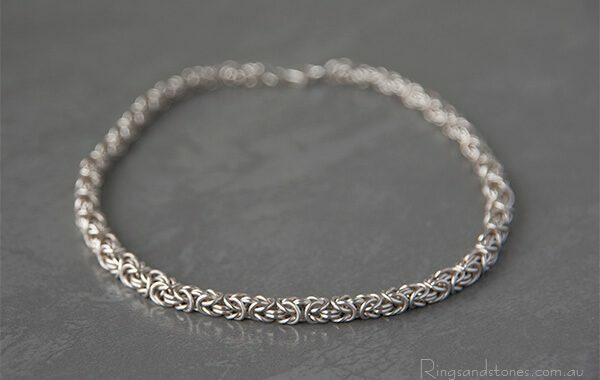 Unique silver jewellery. 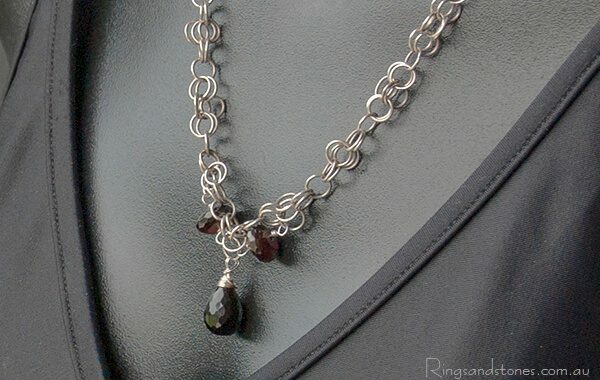 Sterling silver handcrafted necklace with garnet gemstones. Smart, modern distinctive fashion. Modern, fresh and playful, this necklace is a mix of blue, green and yellow gemstones with sterling silver. The colour blue is associated with the divine Spirit. It represents both the sky and the sea. Rainbow multi coloured sterling silver beaded necklace. A beautiful combination of gold and sterling silver, the golden shards inside these quartz stones are amazing, they are naturally formed and have random patterns. 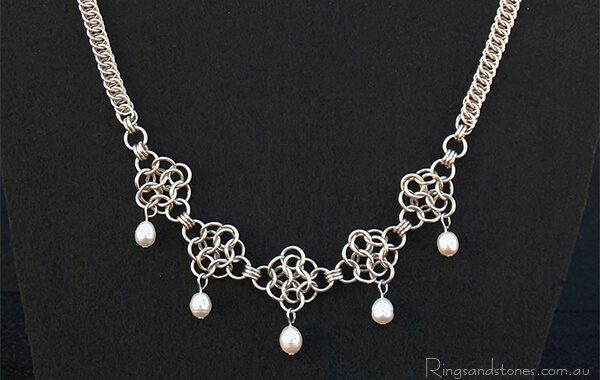 Handmade silver chain necklace. A divine, intricate, textured chain. This delightful necklace was inspired by the gorgeous colours of wildflowers in Spring. 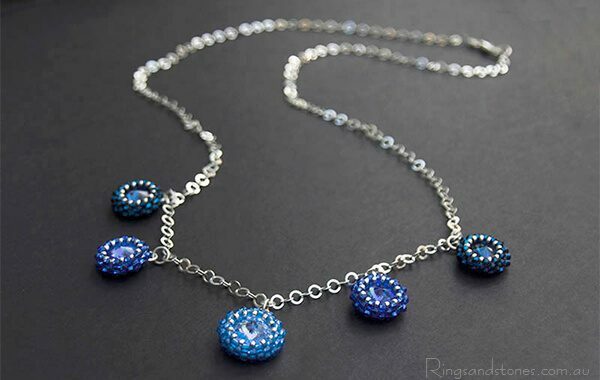 The crystals and small glass beads reflect the light and sparkle. Handcrafted artisan original necklace, striking and individual. A gorgeous gift for someone special. 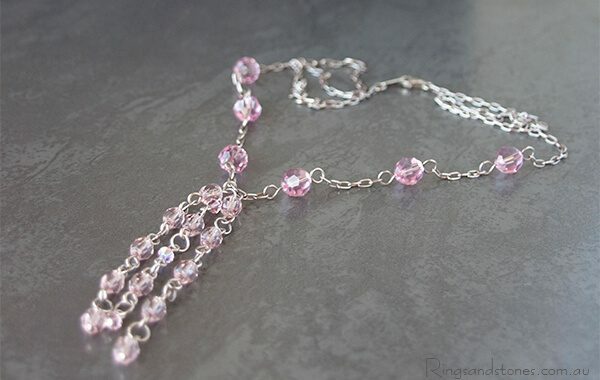 This long necklace will look fabulous with layers of colours and tones. 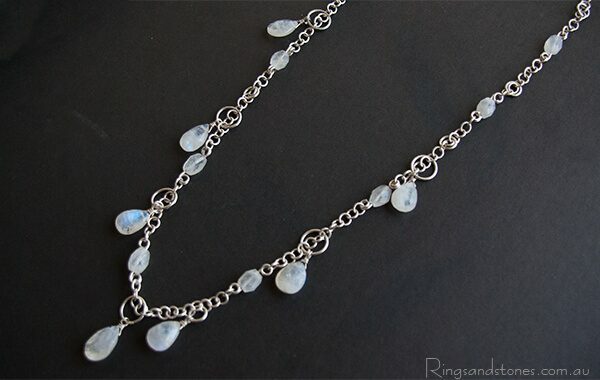 Sterling silver gemstone necklace. 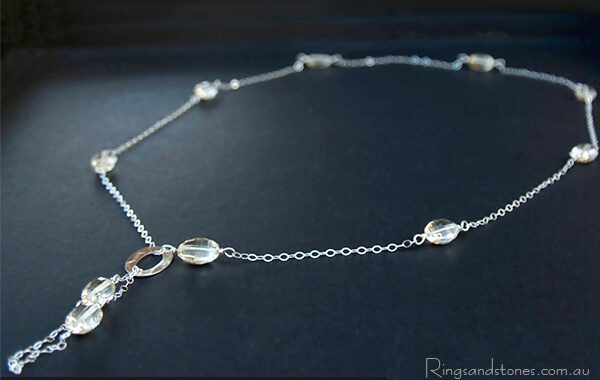 Finely handcrafted elegant original necklace that you will adore. Vintage 1920’s inspired original handcrafted necklace. 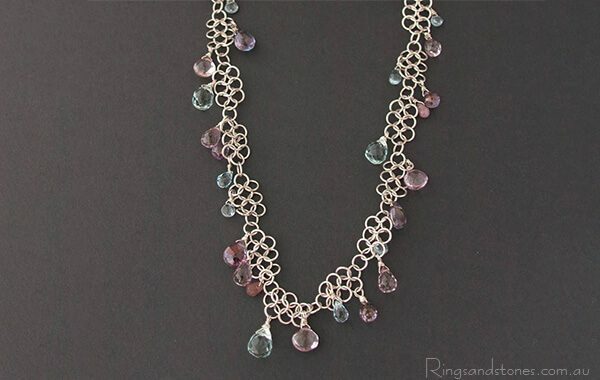 This beaded chain will bring colour and style to a neutral outfit. Perfect for festive celebrations. Classic colour combination of silver and turquoise, a delightful and unique artisan necklace. 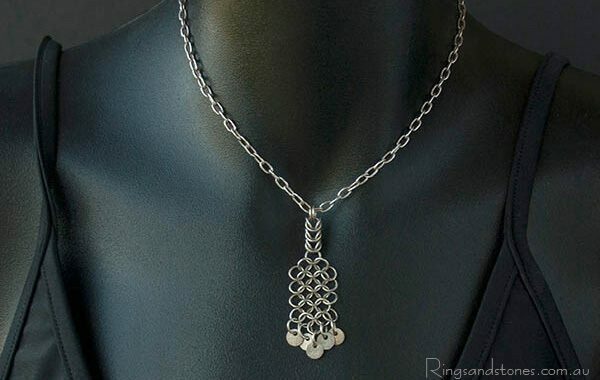 Modern original handcrafted chainmaille pendant inspired by ancient tribal patterns and talismans. 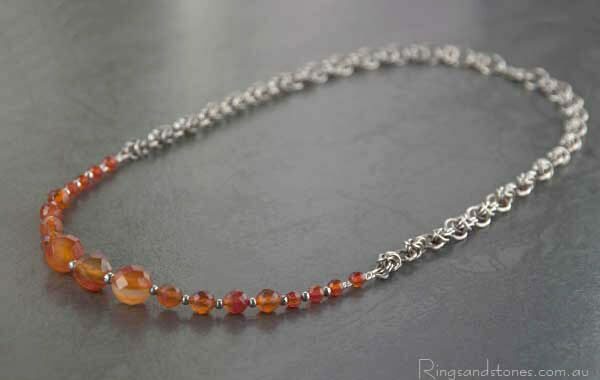 Earthy autumn orange colours with an original handcrafted silver chain. 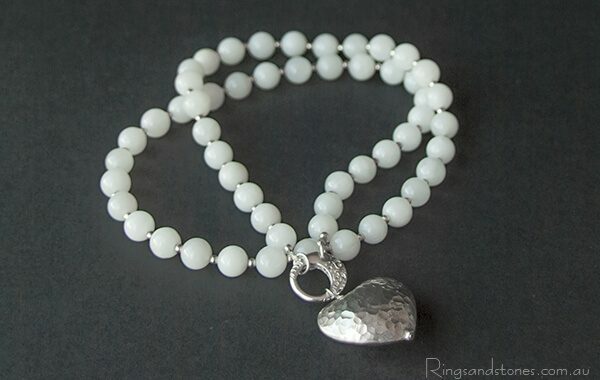 White nephrite jade beaded necklace. Modern style with a romantic touch. Enliven your wardrobe with this gorgeous mix of colours, sparkle and warmth. This necklace will make you want to dress up and glam your way through the night. Bright and vibrant necklace, an original carefree design. 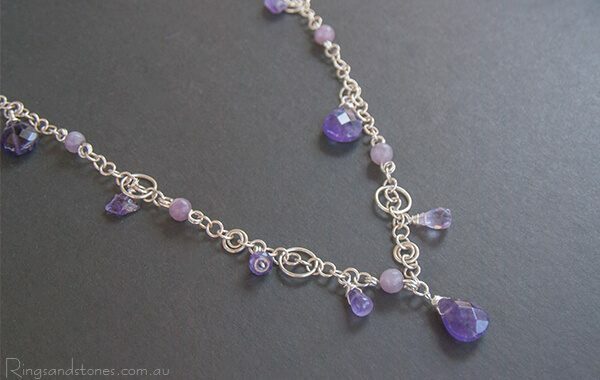 A mixed and playful design with lilac stone and amethyst beads and wire wrapped amethyst stones. Creamy brown caramel agate stones, stylish and natural. The Swarovski crystal shines and dazzles as you move. 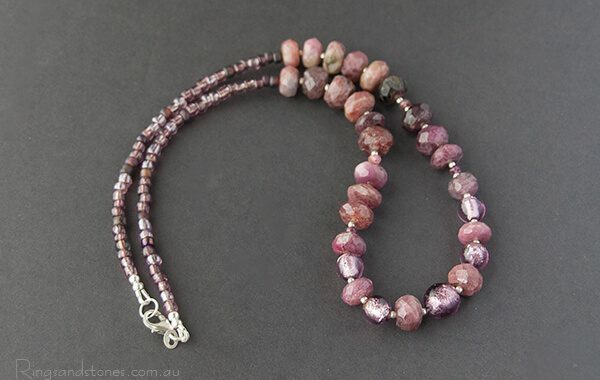 With gorgeous faceted tourmaline stones in earthy colours. 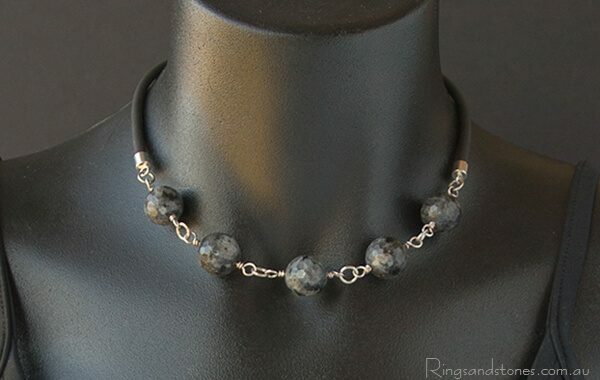 Sterling silver modern stone necklace. 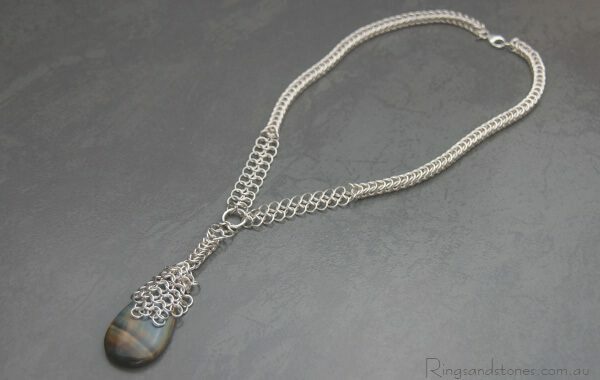 Handcrafted geometric chainmaille designed to highlight the organic Botswana agate patterns. A unique special occasion necklace handcrafted and artisan designed. Amazing artisan bridal necklace. 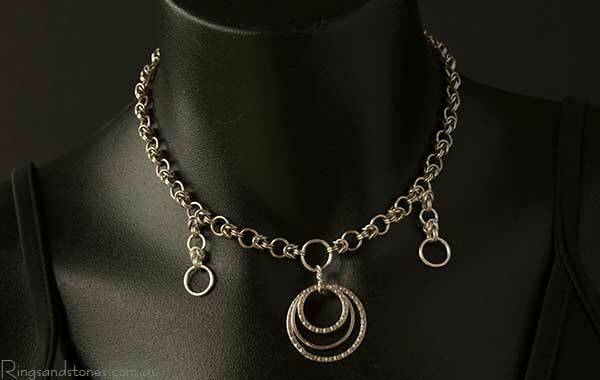 Beautiful sterling silver evening necklace. 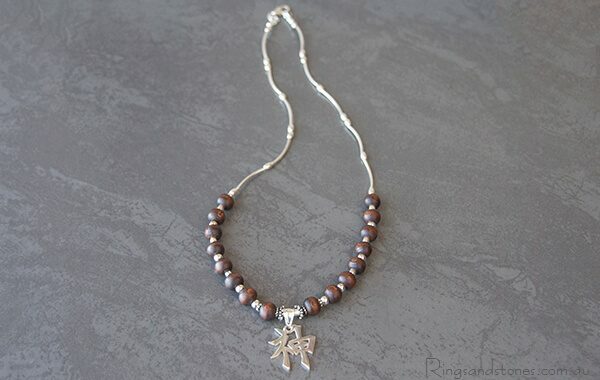 Unique pearl jewellery. 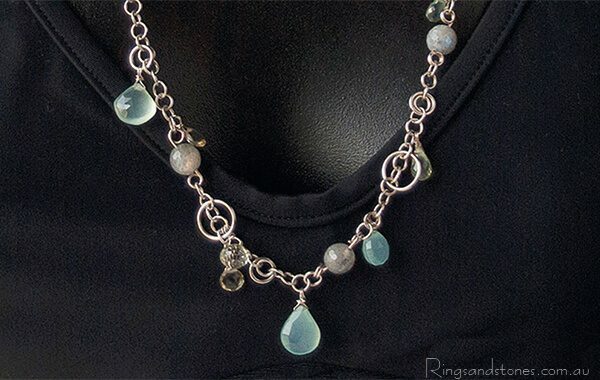 Venetian glass long necklace with handcrafted silver chain.